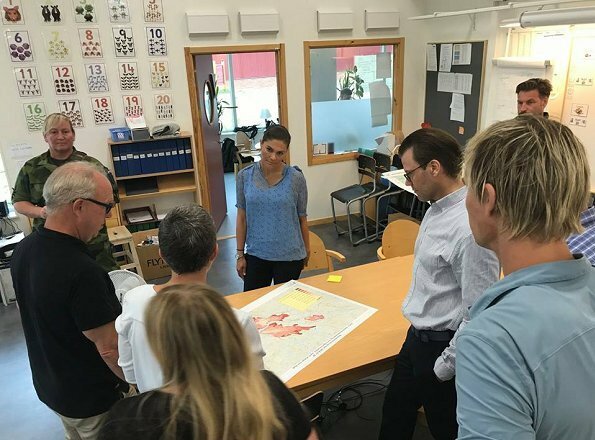 Yesterday, on July 30, Swedish Royal Family visited regions that were affected by severe forest fires in Sweden. 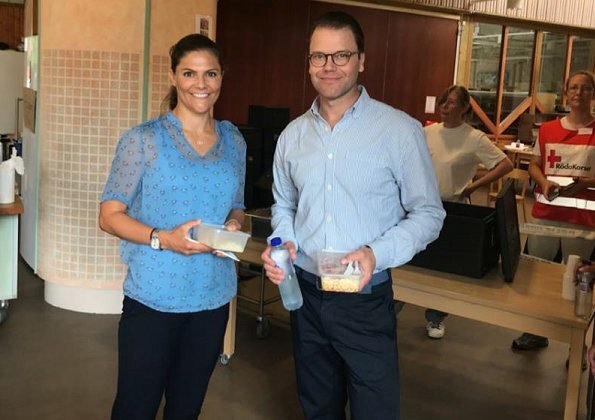 Crown Princess Victoria and Prince Daniel visited Färila fire brigade which is located in Ljusdal Municipality in Hälsingland region. 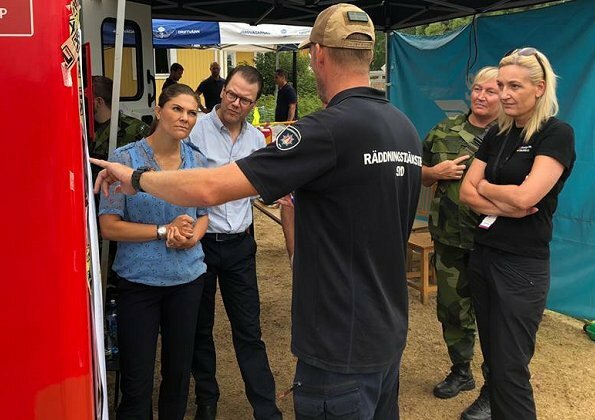 Crown Princess Victoria and Prince Daniel received information about the fires in the region and efforts made to extinguish the fires. 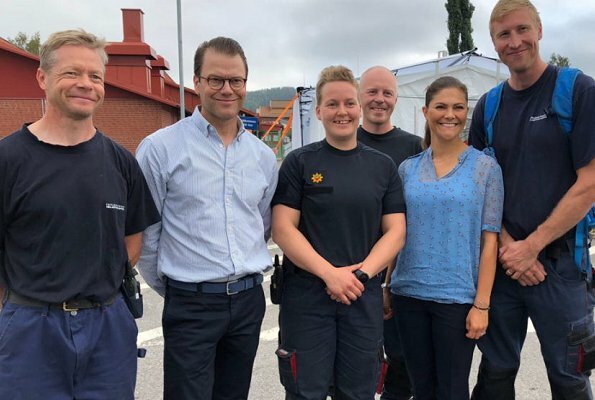 On the same day, King Carl Gustaf visited Pålgård fire region. 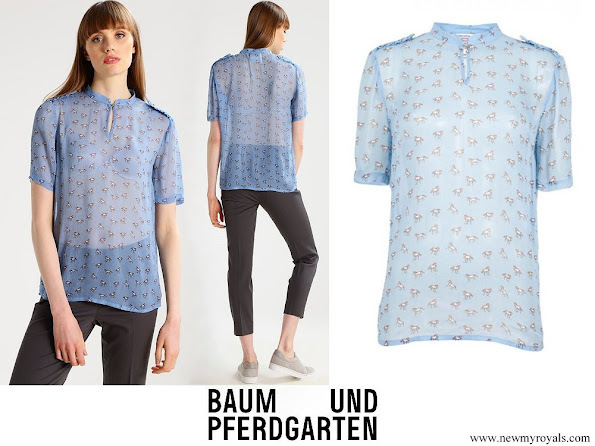 The Crown Princess wore a blue blouse by Baum und Pferdgarten. 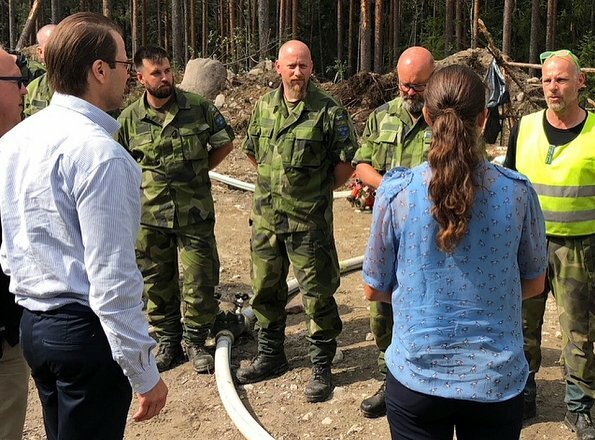 CP Victoria top is nice for this visit.It is very nice of her and Daniel to visit the affected areas by the fire"s. Hope there is no loss of life. Nice couple - both look well rested. This blue blouse suits her very well. I like Victoria when she's dressed casually, she looks younger and prettier. When she dresses up for meetings and palace events, she tends to dress older and has not the best taste in clothes.